^ Mike Avila (2019). The Art Making of Aquaman. San Rafael, California: Insight Editions. p. 67. ISBN 978-1683835035. 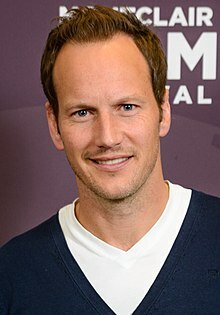 "“To me, he is an amazing character actor trapped in the body of a leading man,”Wan says.“But what I love about Patrick is just hoｗ much he disappears into his character.”"
^ "Patrick Wilson and Wife Expecting Baby Number 2"